BJ's nocabbages: What Apple's U.S.$76 bn cash hoard can do? 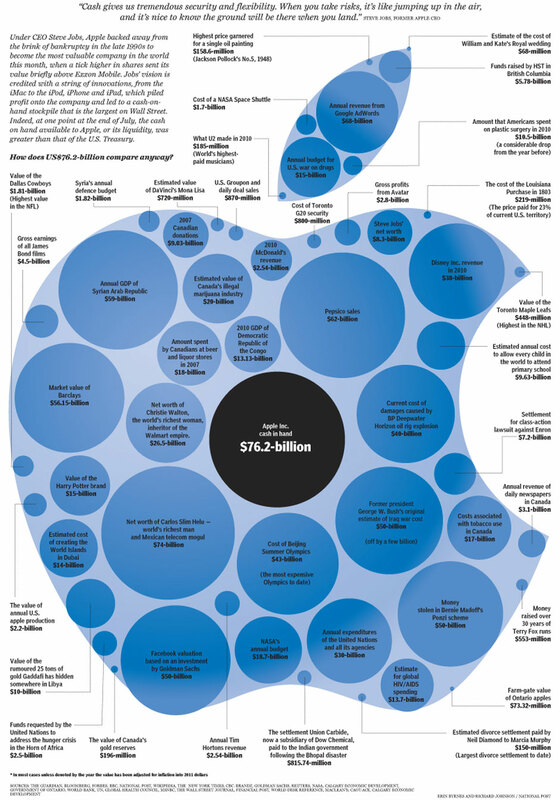 Folks, this infographic on Apple's cash chest of U.S.$76 billion is self-explanatory. Apple's cash hoard of U.S.$76 billion is about 22 per cent of India's external debt. I found this at the Financial Post.